Fr. Thomas Crean OP, from the Dominican priory in Leicester, was kind enough to say Mass on 22nd November. The Dominican rite is slightly different from the Extraordinary Roman Rite (see here for more details) and thanks also to go Nicholas for serving expertly! And while we are talking about serving – classes are available for anyone who would like to learn – please just contact us for more details. Fr. Crean returns on 13th December. Mass takes place every week at 830am. Tea, coffee (and cakes) are in the hall next door to the church afterwards. All are welcome! We were delighted to welcome Fr. Cyril Law to Bedford for the first (but hopefully not the last!) time. He celebrated a Requiem Mass for Remembrance Sunday, of which some pictures are below. 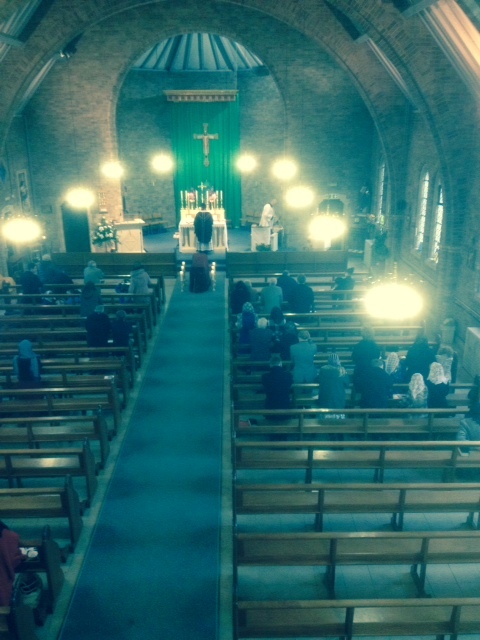 The Mass continues to grow and attract new people; please spread the word! Weekly Latin Mass in Bedford – going strong! 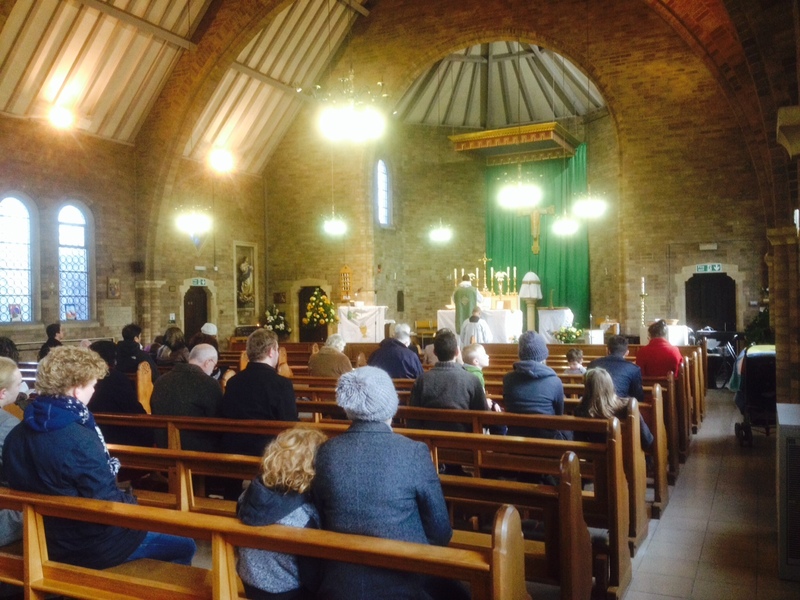 After less than three months in existence, the Traditional Latin Mass in Bedford is going very well indeed. 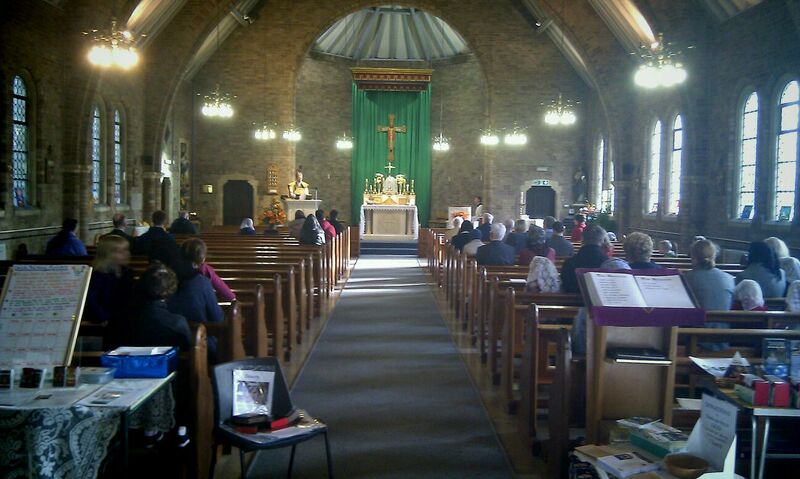 57 people were at Christ the King Church, Bedford, on Sunday 26th October. We were delighted to welcome Fr. Armand de Malleray FSSP, who is on his way to Warrington to establish the next FSSP outpost. He was joined by Seminarian Marcus Williams, who is the 6th FSSP cleric in the UK. More are on the way! http://www.fssp.org/uk has all the details, as well as the excellent magazine “Dowry“. And all the Sundays until the end of the year are now filled – Deo Gratias! So do please spread the word and join us in this growing community. Fr. Patrick and the congregation have been extremely welcoming and our heartfelt thanks go to them as well as to Bishop Doyle. With the kind permission of Bishop Peter Doyle, and welcomed by parish priest Fr. Patrick Hutton, from August 16th 2015 there is now a weekly Traditional Latin Mass every Sunday at 8:30am, at Christ the King Church, Harrowden Road, Bedford MK42 0SP. Tea, coffee (and cakes) are in the hall next door to the church afterwards. All are welcome! We address especially the young people: In an epoch when in some areas, as you know, the Latin language and the human values are less appreciated, you must joyfully accept the patrimony of the language which the Church holds in high esteem and must, with energy, make it fruitful. The well-known words of Cicero, “It is not so much excellent to know Latin, as it is a shame not to know it” [Non tam praeclarum est scire Latine, quam turpe nescire (Brutus, xxxvii.140)] in a certain sense are directed to you. We exhort you all to lift up high the torch of Latin which is even today a bond of unity among peoples of all nations.